Bring your church's website to life with this beautifully designed, responsive WordPress Theme. Functionally, it includes all things Churches need like Sermons, Recurring Events, Staff Pages, and more. Like all our themes, it installs in a single click to look exactly like the demo. Set-up takes just minutes and everything is customizable without coding. The design of this theme is focused around imagery of reclaimed wood, with a focus on earth tones and fonts that compliment its rugged-yet-simple feel. It features subtle animations and parallax that help bring the page to life. It includes 6 different page layouts, which greatly helps to speed you along in the process of building your website. Whether you're a beginner or a pro, you'll love using our site-building system for your website. Let your members easily access your website from their phones on the go! 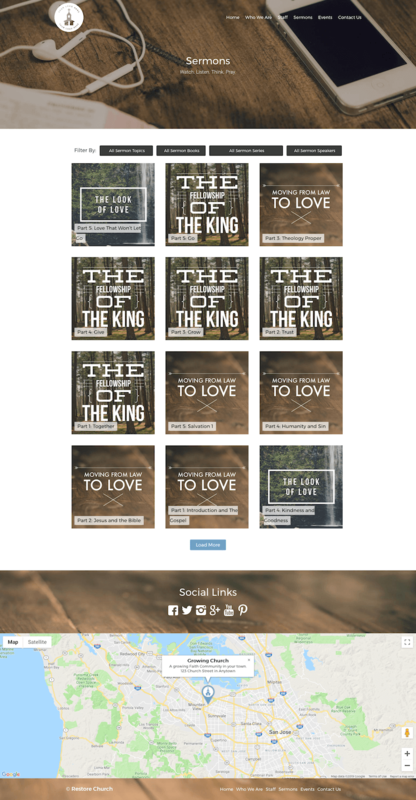 The Restore Church Theme Bundle works on ANY sized device. Anytime. Anywhere. 1 Click installation to look exactly like the theme-demo. 7 Stack Templates pre-styled and re-usable for any page. Theme Bundle license works for ALL included plugins. Includes license to use all images seen in the demo. Allow your website users to browse, view, download, and read your sermons with simple navigation by Sermon Series, Speaker, Topic, and more. With weekly both single and recurring events, don't waste time re-posting the same events over and over each week. All events are easy to view - acting like an app when on a mobile. With complete Google Maps integration your map matches the layout and design of your website with custom icons and map overlays. 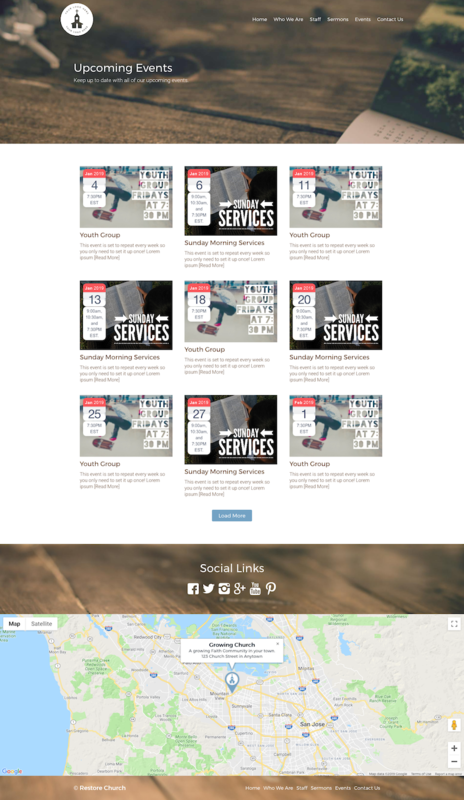 Here's what real churches are saying about our Church Theme Bundles and how easy it has been for them to manage and bring their church websites to the next level in connecting with their congregations online. The church theme from @MintPlugins is amazing and so easy to use! What a great way for churches to make a web presence.